As we visit with many businesses, it becomes clear that a prominent challenge facing employers is the opportunity to engage with local students in a way that offers the greatest impression with minimal amount of sacrifice in work productivity. 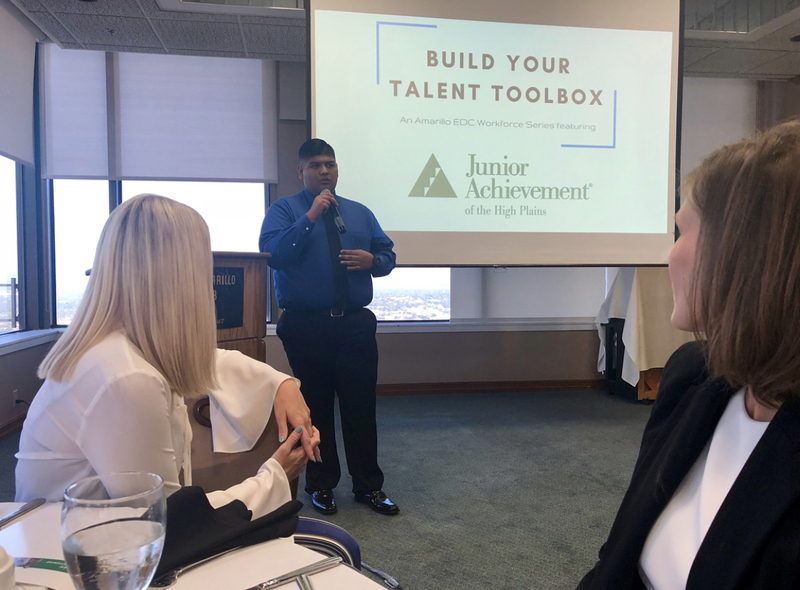 This is why the Amarillo Economic Development Corporation (AEDC) highlighted Junior Achievement of the High Plains in our first “Build Your Talent Toolbox” event. Junior Achievement (JA) helps employers bridge this gap and provides staff an opportunity to interact with local students. “Our curriculum teaches students about the importance of good communication and collaboration. JA helps students develop soft skills and teaches them how to handle conflict. 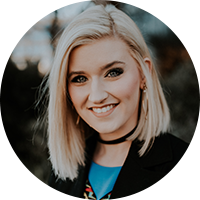 I don’t know about y’all, but these are important skills that are sometimes missing in many of our applicants at Happy State Bank,” Stacie Smith, President of Junior Achievement of the High Plains Board of Directors and Vice President – Regional Operations Manager of Happy State Bank. JA emphasizes three main skills in the program: workforce readiness, financial literacy and entrepreneurship. These are three skills all employers can get on board with for their future workforce! Being a JA partner isn’t a one size fits all program. Bell elects to host a program called ‘Reverse JA in a Day’. This program allows local businesses to invite students to visit their workplace. Bell chooses to engage students and expose them to their career possibilities within their company. On the other hand, most of JA’s community partners elect to allow their staff go into the schools to voluntarily teach the JA curriculum over a 5-6 week period. While that seems like a huge time commitment, volunteers only commit to one hour per week for those 5-6 weeks. Being a JA volunteer is not overwhelming. Volunteering allows your staff to engage and interact with a group, respond quickly in surprising situations and become a role model for other employees. By presenting local professionals in our area’s workforce, students realize the different career paths ahead of them…college, trade school, starting their own business. JA volunteers also have numerous opportunities to teach them about their company and the job opportunities that are available right here in Amarillo and the Texas Panhandle. You can hear from Devin Savage with First Capital Bank of Texas on how JA benefited him as a volunteer. Many of these students can’t envision their future due to financial instability or unstable environments at home. JA opens their eyes to the possibilities in front of them. If you want to know what kind of impact you can have on students, take a look at a Career and Technology teacher’s perspective. Joni Price teaches high school students and knows the lasting impression JA volunteers have on students’ futures. Upcoming Build Your Talent Toolbox! This is just one of the tools to recruit your future workforce while also engaging your current employees. The AEDC will highlight multiple topics throughout this series to better equip you to grow your business and hire the right employees. Register for our next session for the Hiring Tool: Hiring Right the First Time with Margaret Graziano of Keen Alignment and Joshua Raef of Chick-fil-A on February 7th. Find more info and sign up here!